Cold emailing is a necessary component of any sales and marketing outbound activities you do. Honing that skill takes time and in a lot of cases you learn by doing all the possible mistakes yourself first. 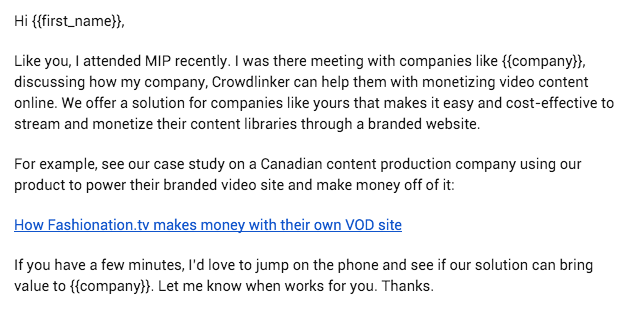 What I’d like to do is share what I’ve learned after sending 4,000+ cold sales emails when doing customer development and business development for Crowdlinker in order to help you avoid some common pitfalls. I’ll share the techniques, lessons learned and templates you can use to increase your open and reply rate. It is important that you understand your value proposition in order to come up with the right customer persona(s). If you want to get high open and response rates, it is critical that you understand your buyer persona’s needs and pain points. HubSpot has a great blog post on creating detailed buyer personas for your business. After you come up with your buyer personas, you are ready to start architecting your campaigns. Your subject line often determines whether someone will open your email or not, especially when it comes from someone you’ve never met before or heard of. Make sure your subject line summarizes the value proposition and sets expectations properly. People respond better when they see that you took the time to personalize the subject. Keeping your subject personal helps you increase the chances of your recipient clicking on your email, which is half of the battle for people’s inboxes. Word of caution no using people’s names in the subject. Using their first name in the subject line might seem spammy to some, so only use it when you think it makes sense. From my experience receiving emails with a subject “Andrei, blah blah blah” they were sent using mass email solution where by name in the subject was a dynamic variable that changed depending on the recipient. Get to the point and don’t waste people’s time. Short and descriptive subject lines generate higher open rates. Remember that a lot of people these days open and action on emails on their phones. Longer subject lines get cut off on smartphones, so this serves as another reason to keep your subjects succinct. Nothing smells of “mass email outreach” than an email written by a non-human. You’ve seen those emails. The manner in which they’re written results in a quick turn off. If the sender does not respect my time by failing to writing a genuine email, why would I want to do business with them? Make sure your body delivers on what you state in your subject line. If you promise A in your subject line, but deliver B in your message, your open rates might be high, but your responses will be abysmally low. So, stay away from misleading subjects that have little to do with the body of your email. It’s a good habit to refrain from using salesy and marketing jargon, so as not to alienate your reader or sound sound too salesy. Words like “sale”, “buy”, “free”, “sale”, or “reminder”, as well as exclamation points and all caps can potentially trigger a spam filter. It’s always a good idea to A/B your subject lines on a small pool of recipients first before sending the winning subject to the other 90% of recipients. Say you have a list of 1,000 people. Send 50 emails with subject A to control group A and another 50 emails with subject B to control group B. Get the results and send the winning subject to the other 900. Get into the habit of testing in order to backup your decisions with data as opposed to intuition. There are a plethora tools out there that allow you to track your open rate, click through rate, optimize your subject lines. Examples include Outreach.io, ToutApp,PersistIQ, SalesLoft, Reply. Use those tools to track key metrics that will help you optimize the performance of your outreach campaigns. Don’t waste your recipient’s time. Get to the point in a succinct manner. Lose all the fluff that adds unnecessary information. 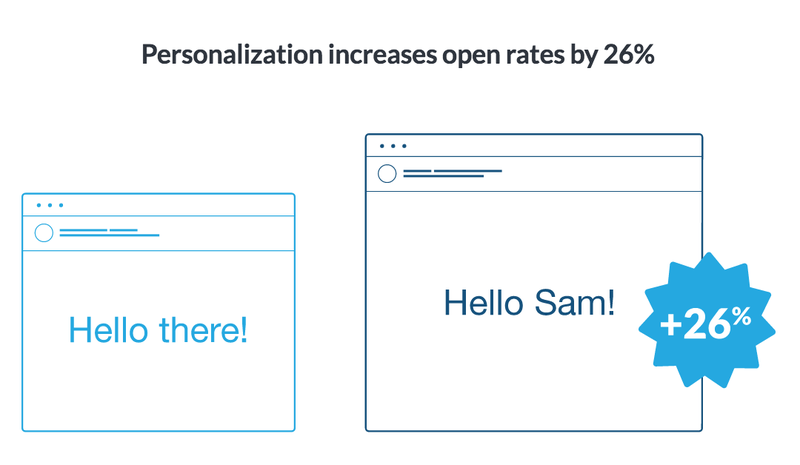 Make sure you personalize your greeting, whether you’re doing it manually or using an email automation tool. More on examples of such tools below. According to Experian’s 2013 Email Market Study, personalizing your email will increase your open rate by 26%. The connection statement is a way to relate you to the target. Did you meet at or attend the same conference? Did you read their blog? How did you learn about them? Is there something really interesting about their business to you? Is there something interesting or impressive about their website? If you don’t have a statement to fit this mould, then do more research until something falls into place. You should include some form of authentic praise in your initial communication. It can be included as part of the connection statement, but authentic praise can be a positive element. Make sure you are as specific as possible to stay away from sounding hollow. I was at CES too last week, but I was fully booked. I wish we had met there, so we could talk about the way you deal with online orders now. Your success in 2015 has been really impressive. I found your website last week and I was impressed. Is it your primary marketing channel? I saw an article on Entrepreneur.com about your recent launch of XYZ. Congrats! There’s a definitely a gap in the marketplace that your product can fill. I run a blog that highlights exceptional real estate outfits and I’m writing to see if you would be interested in a 30 minute interview via Skype or phone? 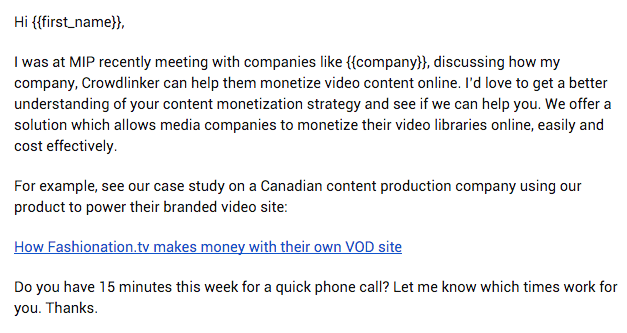 I would like to schedule a 20-min call to ask you some questions as part of research I’m conducting into tier 1 challenges digital marketers face on the job. I’ll use that information to form a problem hypothesis for a software product my company is developing. Our product helped similar companies in your niche increase revenue by 30% in 2 months. Do you have 15 min on Wednesday at 11am to jump on the phone to discuss further? We help small business owners like you who are frustrated that they can’t track the ROI of their marketing activities and are disappointed that they can’t figure out where their buyers are hiding. Does that resonate with you? I would like to learn how your company generates sales leads to determine if there might be a good fit for our solution. We’ve been able to help clients like XYZ generate 30% more qualified leads in 3 months. Can you refer me to the right person within your company responsible for outbound sales? It’s important that you keep that task specific. Don’t ask your recipient: “What do you think of my proposal?”, because she might not have the inclination nor the time to write all of her thoughts on your proposal in an email. Instead, she’ll just delete your email or ignore it. Instead, you might ask: “Are you the right person at XYZ Corp?”. This way, if the person you’ve emailed is not the right individual, they’ll be able to forward you to the correct person within their organization who you should be talking to. I found RazorFish’s latest blog post on the best practices in digital marketing really insightful. I passed it on to my colleagues in marketing. I’m working on a product to help marketers like you increase awareness and branding in the eyes of your customers. I want to make sure we’re solving a real tier 1 problem and are on the right track. If you are using social media to build awareness for XYZ, I would appreciate your help and advice. I looked at XYZ’s social media profiles and you don’t seem to be posting frequently. Is it a matter of lack of capacity or is it that social is not a priority for lead gen? We recently helped a 50-employee company in the same space as you start generating 10 qualified leads per week as a result of implementing our social media solution. Do you have 15 on Wednesday at 11am to discuss if our solution is a good fit for RazorFish? Lincoln Murphy has a good roundup of 7 sanity checks for sending cold emails. Go ahead, read it and make sure your tone is right, your message is succinct and to the point and please optimize it for reading on a mobile device. Below, you can see why it’s important. 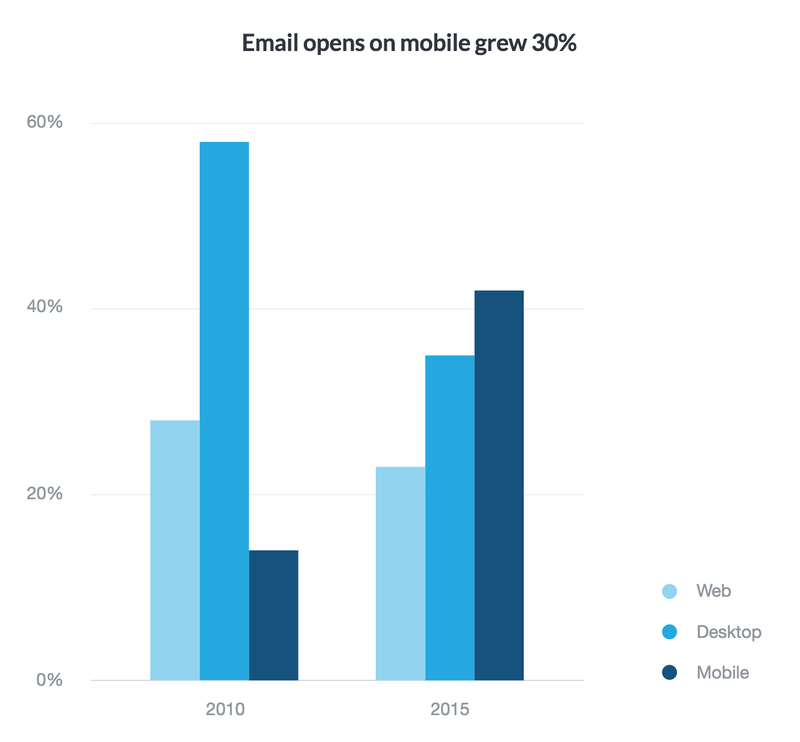 It’s no surprise that optimizing your emails for mobile is no longer optional. It’s a must. From 2010 to 2015, email opens on mobile devices increased by 30% according to Campaign Monitor. Litmus confirms a similar trend. 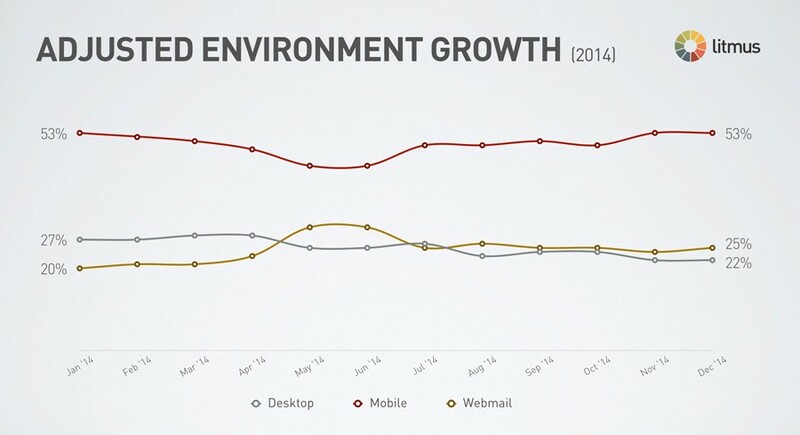 As of 2014, open rates were at 22% for desktop, 25% for webmail and 53% for mobile. When I was doing outreach to media executives in North America as part of customer development for a product we were trying to validate the need for, I decided to do a little A/B test. 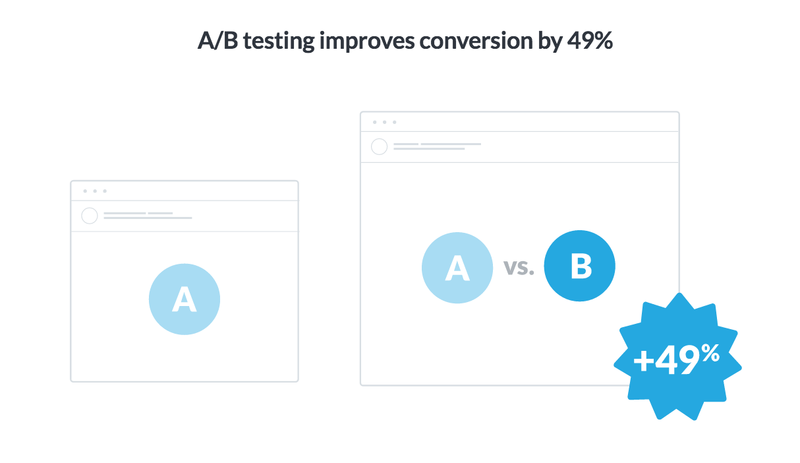 A/B testing is a great way to test your messaging. Campaign Monitor estimates that A/B testing improves conversion by 49%. In my limited email campaign of emails sent to a total of 400 people, I sent 200 emails to control group A and another 200 emails to control group B. Out of the 200 recipients in group A, 50% opened the email, 11% clicked on the link and 5.5% replied back. Out of the 200 recipients in group B, 48% opened the email, 8% clicked on the link and 2.5% replied back. It’s not clear what exactly resulted in higher open, click-through and reply rates in control group A, but I can guess that it could’ve been a clear ask: “15 min of one’s time” in template A vs. “a few minutes” in template B. Some would argue that my example above is not a proper A/B test, because for an A/B test to be valid only one variable at a time should be changed to determine the cause and effect. The results of my A/B test are not radically different. I can attribute it to the fact that both templates are more-or-less similar. I would suggest you start off with 2 different templates and do A/B testing by sending it to 5–10% of your pool. Keep the subject line the same if you’re testing the body to make sure you’re only measuring one variable at a time. Once you get a clear winner, take it and modify it slightly to conduct the next A/B test. 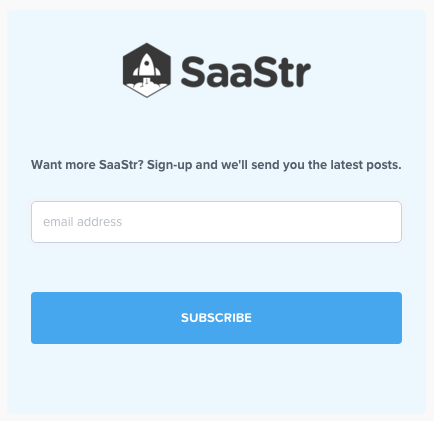 This second A/B test will help you understand whether slight changes in wording (e.g. “15 min of your time” vs. “a quick phone call”) make a significant different. Test it on the following 5–10% of your pool and once you get a winner, send the winning template to the remaining 80–90% of your target list. It’s no secret that if you were to do email outreach manually, you would not be able to reach as many people as you can at scale. Email automation tool enable modern marketers to easily set up email sequences to send personalized, timely, and relevant emails to customers and not-yet-customer through drip campaigns. For small batches of emails you might want to consider using a simple mail merge solution like Gmass. I’ve used it for batches of 20–50 people and it’s been great. Mix up your message. Avoid sending the same email again. Paraphrase it or use a different angle. Also, don’t ask “Did you receive my previous email?”. That’s just lame. Day 1: Send your first cold email. Day 2: 1 day later send a modified version of your initial email. Phrase it in such a way, so that it conveys the same message, but in a different way. For instance, you could write a 3-sentence body instead of 2–3 paragraphs and vice versa if applicable. Make sure you convey the same message to stay consistent. Day 9: Out comes the breakup email. You can read below how to properly use one, but essentially you’re going to communicate to the recipient that you’re going to stop emailing her after this last email. By doing this, you’re betting on the psychological principle called “loss aversion”, which describes people’s tendency to much rather avoid a loss than to acquire a gain. Once you’ve emailed someone 5–7 times and haven’t heard back, send them a breakup email. Crafted the right way, it’s one of the best ways of getting a positive response. This tactic works both for outbound emails (when you’re sending emails to people who have never expressed an interest in your offer or interacted with you) and inbound emails (when you’re sending out emails to people who have at some point expressed interest in your offer, e.g. by signing up for a trial). I was really looking forward to explore an opportunity for PurpleGecko to help XYZ Cop increase the quality of inbound leads, but I haven’t heard a response to my emails and phone calls. I’m guessing the interest is not there on your part, so this will be my last email to you. I’d be happy to speak with you when you are ready to invest resources into a lead generation solution. Once again, I’d like to point to Steli Efti as he does a great job explaining how to use breakup emails. Complying with the CAN-SPAM Act in the U.S. 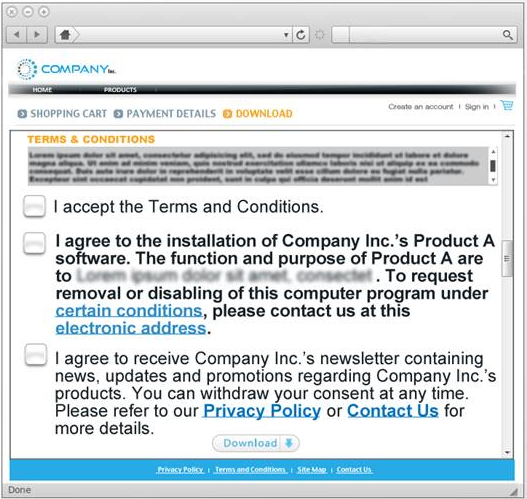 Unsolicited commercial email is a grey area when it comes to complying with anti-spam laws. There are a bunch of companies that will sell you email lists, but it’s never a good idea. While this may be technically legal, it often damages your reputation and the reputation of your email marketing company. As such, this sort of behaviour is usually not allowed in their terms and conditions. Companies like MailChimp, Campaign Monitor and Customer.io have clear guidelines surrounding spam and require people to have opted-in to be emailed. You send a one-time confirmation email asking them to click a link and confirm their email address. If they do it, they’re opted in. If they don’t confirm, you do not have their permission to email them. For your reference, there’s an interesting thread on Quora on the distinction between a spam email and a cold email. I suggest you take a look at it. Don’t use false or misleading header information. Your “From,” “To,” “Reply-To,” and routing information — including the originating domain name and email address — must be accurate and identify the person or business who initiated the message. 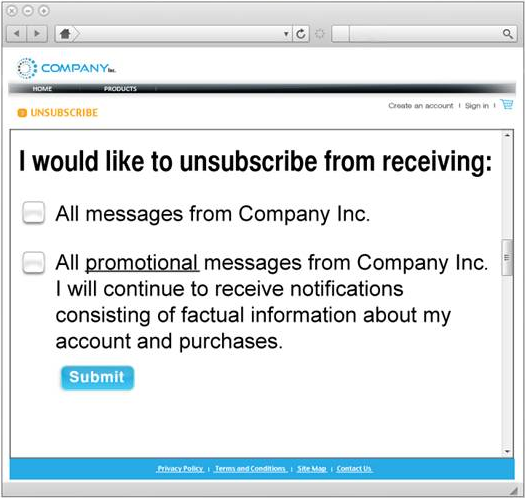 Tell recipients how to opt out of receiving future email from you. Your message must include a clear and conspicuous explanation of how the recipient can opt out of getting email from you in the future. Craft the notice in a way that’s easy for an ordinary person to recognize, read, and understand. Creative use of type size, colour, and location can improve clarity. Give a return email address or another easy Internet-based way to allow people to communicate their choice to you. You may create a menu to allow a recipient to opt out of certain types of messages, but you must include the option to stop all commercial messages from you. Make sure your spam filter doesn’t block these opt-out requests. Honour opt-out requests promptly. Any opt-out mechanism you offer must be able to process opt-out requests for at least 30 days after you send your message. You must honour a recipient’s opt-out request within 10 business days. You can’t charge a fee, require the recipient to give you any personally identifying information beyond an email address, or make the recipient take any step other than sending a reply email or visiting a single page on an Internet website as a condition for honouring an opt-out request. Once people have told you they don’t want to receive more messages from you, you can’t sell or transfer their email addresses, even in the form of a mailing list. The only exception is that you may transfer the addresses to a company you’ve hired to help you comply with the CAN-SPAM Act. Other content — which is neither commercially nor transactional or relationship. 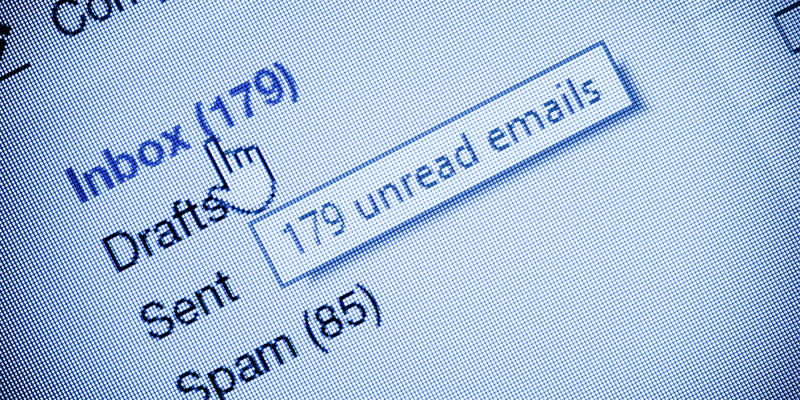 Still not sure if your email might be classified as spam? HubSpot’s “12 Signs Your Cold Sales Email Is Actually Spam” blog post might provide more clarity. Keep in mind that if you’re a US company conducting an outbound email campaign to Canadian recipients, CAN-SPAM does not apply. Instead, you’re subject to Canada’s Anti-Spam Legislation (CASL). Spam laws tend to be based on the recipient’s location, rather than sender’s country. CASL applies to anyone, including a corporation, that sends a “commercial electronic message (CEM)”, which is broadly defined and would capture any message sent by any means of telecommunication, be it email or SMS. See CASL FAQ for more context. If you use MailChimp, they were kind enough to put together a CASL-specific guide for you. 1. Have the recipient’s consent: You must have a form of valid consent. According to CASL, consent can be obtained either in writing or orally. In either case, the onus is on the person who is sending the message to prove they have obtained consent to send the message. the manner in which it was obtained. 2. Clearly identify yourself and your organization. You must include your mailing address. You must also include a phone number for accessing an agent or a voice messaging system, an email address, or a web address for you or the person on whose behalf you are sending the message. 4. Truth in advertising: Your messages must not be false or misleading. They must not have false or misleading sender information, subject matter information, URLs and/or metadata. If you need a checklist you can print out and put up on a wall in your office, Constant Contact’s got you covered (PDF). Note that if you happen to willingly violate the anti-spam regulations of your jurisdiction, here’s an interesting discussion on the perils of sending out tens of thousands of mined email addresses. I hope you found this post informative and useful. I would appreciate if you could share it on Facebook and Twitter. If you enjoyed reading this post, hit the heart button below. It would mean a lot to me and it helps other people discover the story. If you also share it on social media, I’d be incredibly thankful to you! Andrei Arkhanguelski is a technology entrepreneur, product designer, online marketer, foodie, and happy dog owner. Besides, Medium, he shares some awesome entrepreneurship-focused content on Facebook, Twitter and YouTube.